Texas Republican Rep. Dan Crenshaw said Monday that former Texas Democratic Rep. Beto O’Rourke should answer if he would remove the border wall in his hometown of El Paso if he had the ability to do so. 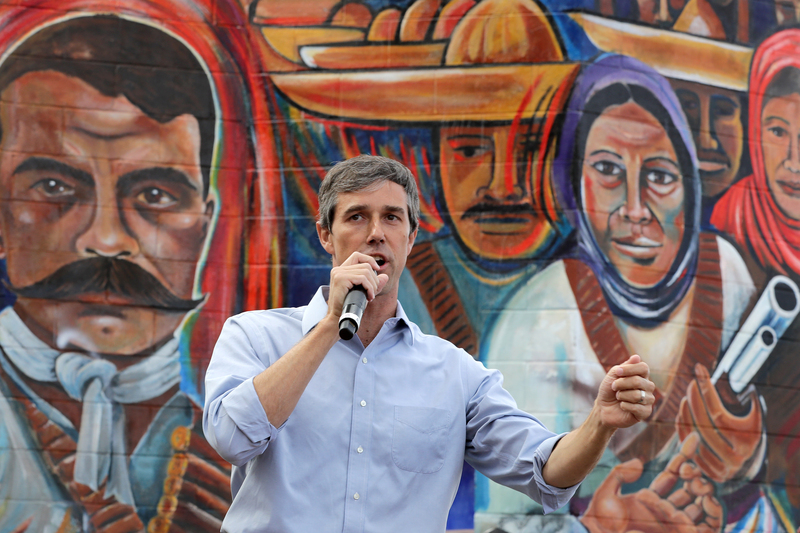 O’Rourke, who has claimed to oppose open borders, has faced backlash for refusing to clarify where he stood on the migrant caravan that was heading toward the U.S. O’Rourke dodged commenting on the topic despite immigration and border security overwhelmingly being the top issues for voters in Texas during his unsuccessful run to unseat Republican Texas Sen. Ted Cruz in November. Trump is scheduled to hold a rally in El Paso on Monday to promote the wall, and O’Rourke is simultaneously planning on leading an anti-wall march. During the event, he will be speaking to counter what he calls the “lies and a false narrative about the U.S.-Mexico border” that the president will promulgate.